BlackBerry is now again moving towards mid-range smartphone Just a few months ago, BlackBerry launched their first Android phone- the BlackBerry Priv which received a lot of criticism for being priced too high compared to what it provided. 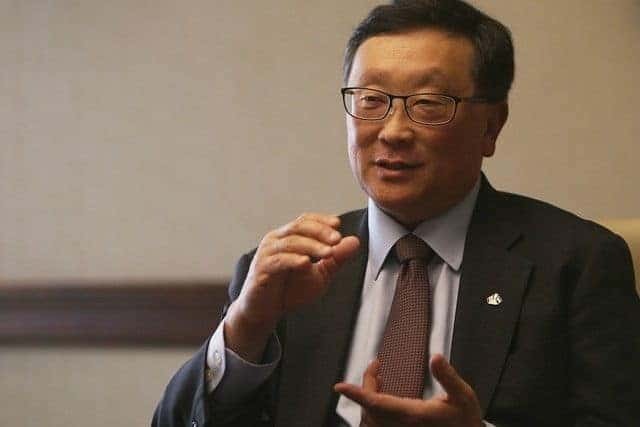 John Chen, the Chief Executive disclosed that BlackBerry is working on two mid-range Android handsets- among them one will have physical keyboard and the one one will be a full touch screen device. However, he didn’t mention any specific dates or hinted about the launch dates. However, regarding the pricing he said that the devices will be priced between $300-400 that means around Rs. 20,000 to Rs. 26,000. Chen also accepted that the Android-based Priv smartphone “was too high-end a product” for enterprise customers. And as a result, there has been a price cut and now Priv, is now available for $649 (approximately Rs. 43,000) after it got a price cut of $50 from the launch price of $699. In India, it is [eafl id=14552 name=”BlackBerry Priv-Amazon” text=”available for Rs. 57,990 from Amazon India”]. “The fact that we came out with a high-end phone [as our first Android device] was probably not as wise as it should have been,” Mr Chen said during a visit to Abu Dhabi. Just for the record, the Android 5.1.1 Lollipop-based BlackBerry Priv features a 5.4-inch QHD (1440×2560 pixels) AMOLED display and is powered by Qualcomm Snapdragon 808 hexa-core processor (1.8GHz dual-core Cortex-A57, and 1.44GHz quad-core Cortex-A53) coupled with 3GB of RAM and 32GB of expandable storage; 18-megapixel rear camera and a 2-megapixel front-camera, and 3410mAh battery. Too expensive, huh? Just wait a bit, probably we will see cheaper Android smartphones from BlackBerry soon.